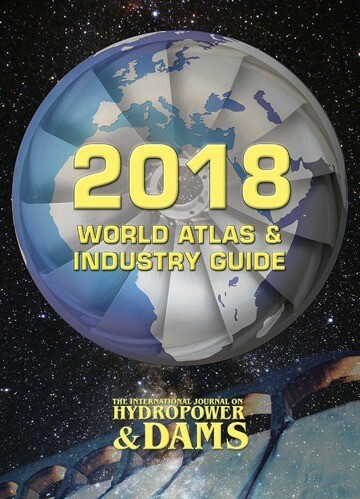 Published annually, the World Atlas and companion Industry Guide provide a comprehensive snapshot of the hydropower industry. Available in Digital (USB) and Printed editions. One of the main editorial features of the World Atlas is the comprehensive world survey of hydropower and water resources development. This is researched and updated each year, and today represents input from 180 countries (all those with active hydropower development programmes underway). Based on our country reports, an annual synthesis of world developments is prepared. Tables giving statistics on hydro potential, dams under construction, RCC dams, concrete faced rockfill dams and dams with asphaltic facings or cores are also included in the Atlas. These clearly show trends in the role played by hydropower in each country’s energy mix, and priorities and achievements in dam construction worldwide. More than 300 national and international organizations involved in water resources development are listed in this database. This is a useful sources of reference for those wishing to consult water- and energy- related organizations, financiers, national committees of professional associations, etc. This contains listings and contact details, arranged by country, of more than 1300 companies active in our industry, with a narrative describing their scope of services. A classified section lists the same organization by type of service. An interactive version of the Industry Guide is available online. Available in Digital (USB) or Printed formats, with a special discount for purchasing the two together. Please note, digital USB version will be dispatched from 1st December 2018.